William Lee holds a B.S. in Physics from UNAM (1992), and M.S. (1995) and PhD (1998) in Physics from the University of Wisconsin-Madison. He is Professor of Astronomy at Instituto de Astronomía, UNAM, where he served as Director from 2010 until 2015. Dr. Lee has carried out research in high energy astrophysics, with over 65 refereed papers. He has worked on the development of infrastructure and instrumentation projects for Observatorio Astronómico Nacional in San Pedro Mártir with France, Spain, Taiwan and the US. 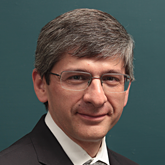 A member of the Mexican Academy of Sciences, he is currently Vice-Chancellor for Science at UNAM.